BOSTON, MA -- Some have been doing it almost their entire professional lives, while others joined later. The one thing USPHL coaches have in common, however, is their dedication to the mission of making young men into better hockey players and better people. That is certainly clear from talking to the coaches we reached out to for this article, who come from each level of the USPHL’s junior ranks and the 18U and 16U Divisions, as well. Read on, as the coaches at the helm of some of the USPHL’s best teams talk about how they got their start, about their philosophies on coaching, and what they like most about coaching within the USPHL, the nation’s largest amateur hockey organization. These are the words of one of the most successful junior hockey coaches in the United States, the New Jersey Hitmen’s head coach Toby Harris. He played for the great Jerry York at Boston College, before embarking on a pro career cut short by concussions. It was while he was still a player that he caught the coaching bug, eventually leading to him to becoming a co-founder of the Hitmen in 2004, and their head coach since 2007. “My first ‘coaching’ job was at Exeter Academy Summer Camps. I began in the summer of 1997, and worked those camps for over a decade. It was an eight-week sleepaway camp with four two-week sessions,” said Harris. “After my playing career was ended prematurely, I could not get the game out of my system. I turned down jobs on Wall Street to work hockey camps, do skills sessions, and coach spring/summer AAA select teams. 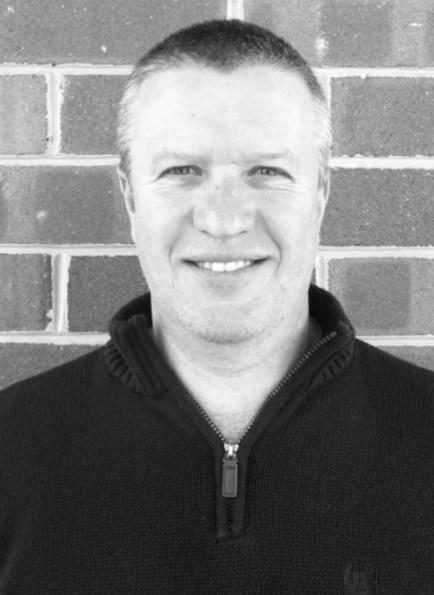 Another player whose injury ended up being serendipitous was Tony Horacek, a former Philadelphia Flyer and Chicago Blackhawk (1989-95), now head coach of the Palmyra Black Knights in the USPHL 16U Division. An eye injury brought his playing career to a close. That same 1997-98 season, however, he was hired full-time by the Utah Grizzlies of the former International Hockey League, to be an assistant coach under Bob Bourne and former NHL head coach Butch Goring. “I wanted to stay involved with the team, I still loved the sport and being a part of the success of the whole, and was fortunate enough to have been offered an assistant coaching position,” said Horacek, currently head coach of the Palmyra Black Knights’ USPHL 16U squad. It was actually two years earlier that he got his first exposure to coaching, as a player-coach for the Indianapolis Ice (also of the IHL). “I remember it being very challenging, exhilarating and fun when winning - not so much when not winning,” added Horacek. The decision to turn to coaching was made very suddenly for Metro Jets (USPHL Premier) head coach Justin Quenneville. He was preparing for another playing season with the pro Corpus Christi Ice Rays, when their GM called him and asked him if he wanted to join the Ice Rays’ junior team as a coach. A few coaches started in the high school game before joining the junior ranks, including Garrett Strot, who is head coach of both the Premier and Elite teams for the Tampa Bay Juniors. 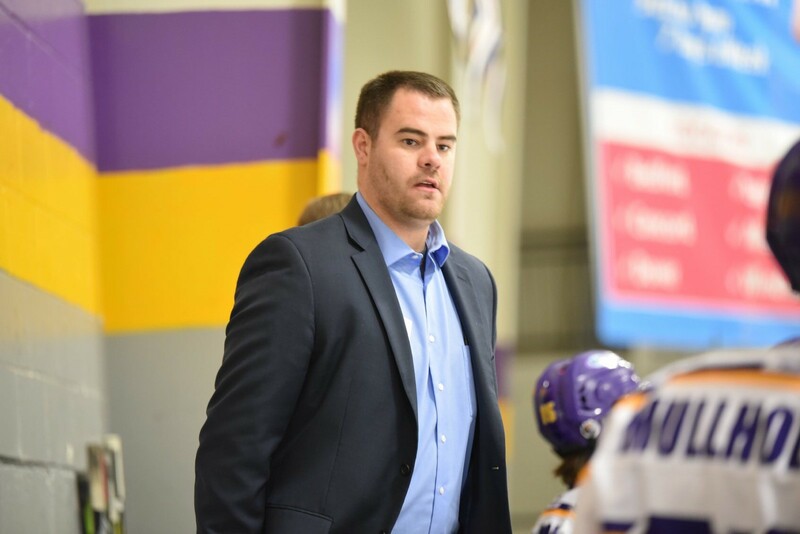 Rich Alger is a first-year head coach in the NCDC, running the bench for the Boston Bandits. He also got into coaching through the high school route, and it’s an experience he still draws on today. “When I was done playing in college [at Boston University], a local high school coach asked me to help him on a volunteer basis,” said Alger. “I told him I’d come once a week to help out and I ended up coming that first day and stayed with him every day for six or seven years. It also taught him that a coach always need to be the best prepared person on the ice. The Jersey Shore Whalers have had a great start to the USPHL 18U season, going 11-2 in league play and being ranked among the top half of 18U AAA programs nationwide. 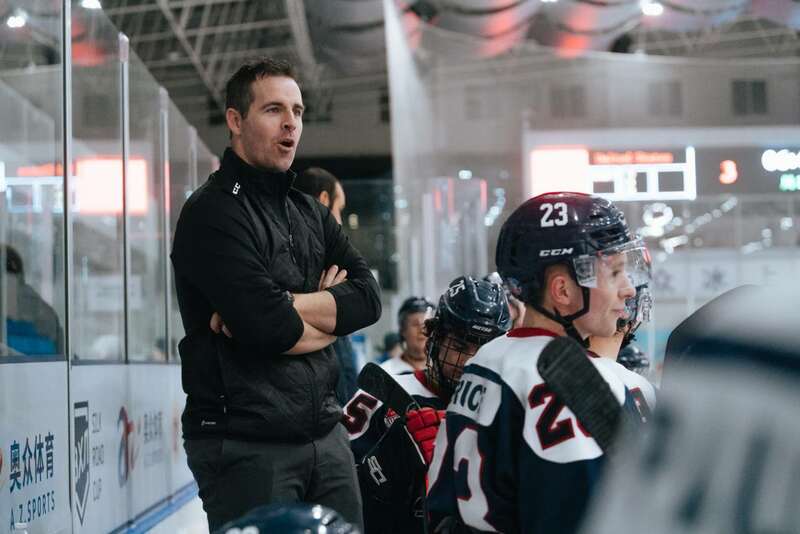 Whalers head coach Stan Gutt has been a Midget or high school coach since 2000, and said that he believes the most important aspect of coaching is to continue learning the game. Nic Cota is one of the younger coaches in the USPHL, running the New Hampshire Jr. Monarchs’ USPHL Elite team. Born in 1993, he played three years of junior hockey and then at the University of Southern Maine. He coached at Portland High School in Maine before joining the Florida Panthers as a member of their Junior Panthers program. In Florida, he held the title of “Hockey Coach/Mentor.” He himself had a mentor in Florida in Jack Capuano, current assistant coach for the NHL’s Panthers. This season, Cota has coached the Monarchs’ Elite team to a 20-3 record through the end of 2018. Finding the players who can fulfill a team’s mission statement like the one above is a full-time job in itself. This is especially true for a program that has the stature of the New Jersey Hitmen’s NCDC team. Horacek always draws on his NHL and pro experience when he thinks about the game of hockey - he was trained by some of the best, including Stanley Cup-winning coaches Ken Hitchcock and Darryl Sutter. His challenge is to translate that knowledge to young 16U players within the Palmyra program. “Playing the sport builds a first-hand intimacy and understanding of what a successful room feels like,” said Horacek. “As a coach, your are responsible for the success of the whole, not just yourself. [You also understand] that without developing your players on a daily basis in an environment that challenges them consistently, you will not have growth nor wins. The two are indirectly correlated with each other." In 2013, Quenneville joined his wife, who got a great job offer in Michigan, in the move north from Texas. He became the head coach of the Metro Jets that year. “I always was a student of the game. I will never forget my first video session way back when video wasn’t really a thing coaches did. The game has changed so much in the last 10 years, and coaches need to evolve with it,” said Quenneville. “Everything is focused around speed and skill now. We focus 100 percent on development. People would be surprised to know that our philosophy does not preach winning hockey games or championships, whatsoever. “We are a selfish program and deal in the industry of selfish players. Yes, every player in junior hockey is selfish about their goals and opportunities. Other coaches will be honest and admit that,” Quenneville added. “Instead of preaching coming together as a group, we teach better habits, skills and decision-making on the ice from Day 1. The goal is to see the players progress, learn through repetitions and expose that IQ in games." Strot, who joined the Tampa Bay juniors six years ago, said that coaching made him so much more aware of the “why” in terms of what is happening on the ice. He also agrees with Quenneville that coaches at this level shouldn’t be worried about the “W’s” - those typically come with better player development. Alger, of the Bandits, remembers very well playing junior hockey in New England with the Boston Junior Bruins, back when they and the Springfield Pics were the only two junior teams in the area. “I’m a big proponent of junior hockey. I played for the very first Junior Bruins team and it was a great model even back then,” said Alger. “I like the practice time, I like the fact we’re able to train a few times a week off the ice. I feel like that is all a part of what we as a league in the USPHL can offer. “The level of play in the USPHL is always humbling - regardless of where you happen to be in the standings, whatever week and whomever you’re playing, if you don’t show up, you won’t win,” Alger added. Gutt agrees about the USPHL as a whole featuring tough draws every weekend, forcing the hand of coaches to be on their toes in terms of preparation and player development. Being part of a multi-tiered organization like the New Hampshire Jr. Monarchs, Cota has seen all of the different junior levels of the USPHL this year. Hitmen games are just one segment of a fully regimented and diverse schedule of development that Harris and assistant coach Jim Hunt, a former NCAA Division 1 head coach, put them through each week. Horacek gets his Palmyra 16U team together on the ice three times a week, and there’s also a gym session once per week and video session every other week, a demanding schedule for players still in high school eight hours a day. It’s all necessary, because Horacek knows each weekend’s battles will be equally grueling for 51 minutes. 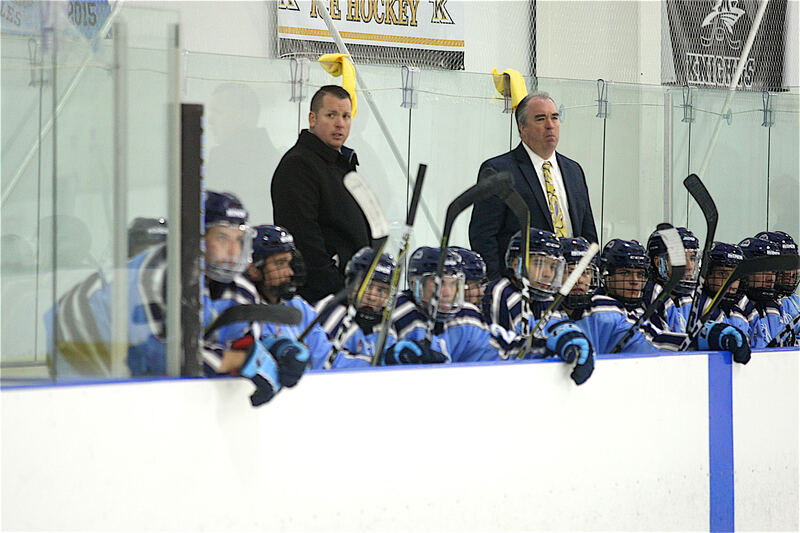 “The USPHL 16U level has some very good teachers, coaches and programs throughout,” he added. Along with an intense development program, the Metro Jets’ Quenneville also builds in a winning mentality to the weekly schedule. Tampa Bay’s Strot has a similar type of schedule, but it’s times two, as he coaches both the Premier and Elite Division teams. Plyometrics, skill sessions, video - it’s all part of the week working up to the (typically) Saturday and Sunday games. “Coaching both teams makes for long days, but it is definitely worth it,” added Strot. Long hours at the rink, time away from their own family and the mental and physical toll of a season are all part of the sacrifices these coaches make. In the end, they don’t do it for themselves - they do it to make young men into better players and better people. “The biggest thing for me personally,” said the Bandits’ Rich Alger, “is I kind of err on the side of doing the right thing by the kids. We’ve asked our kids to put faith in us in Bridgewater, taking them from their homes and families. We do the best we can with the guys we have recruited. We coach them, train them and put them in the best positions to succeed and be promoted to higher levels of hockey." Stan Gutt, Jersey Shore Whalers 18U head coach.